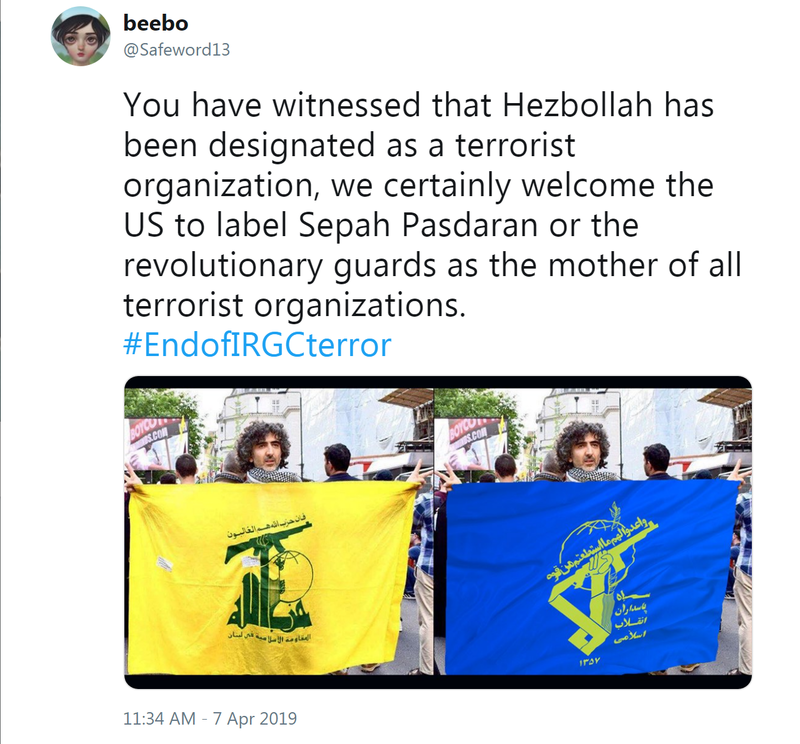 The United States decision to designate (April 8, 2019) Iran’s Revolutionary Guards IRGC)1, 2 as a Foreign Terrorist Organization (FTO) and impose sanctions on it have sparked contrasting reactions in Iran. While the leaders of the regime made haste to threaten a harsh response to the move, opposition elements at home and abroad praised it and said the IRGC was responsible for Iran’s problems and the tensions in the region. #NetanyahuFirsters who have long agitated for FTO designation of the IRGC fully understand its consequences for US forces in the region. In fact, they seek to drag the US into a quagmire on his behalf. @realDonaldTrump should know better than to be conned into another US disaster. The U.S. decision to designate the IRGC as a terror organization, if ultimately adopted, will bring the United States and Iran closer to confrontation. Regime opponents – within and outside Iran who see the IRGC as the root of the regime’s evil – can take encouragement from the Trump administration’s resolve to continue the fight against the regime. The reformist circles in Iran’s regime also quietly support this move. It could bring about the weakening of the IRGC, which has gradually become the real landlord in Iran while expropriating the revolution from its stewards. Former Iranian President Rafsanjani, who died a little over two years ago, was the most ardent opponent of the IRGC’s deepening involvement in the Iranian economy and government. The IRGC, which took the helm of the revolution based on a broadened interpretation of article 150 of the New Iranian Constitution, could find themselves facing a challenge to their continued revolutionary endeavor at home and abroad.